This is a mostly quick meal, where a lot of the time is spent in the chopping. However, the salad dressing with the lime and chili-garlic paste makes this salad so yummy. 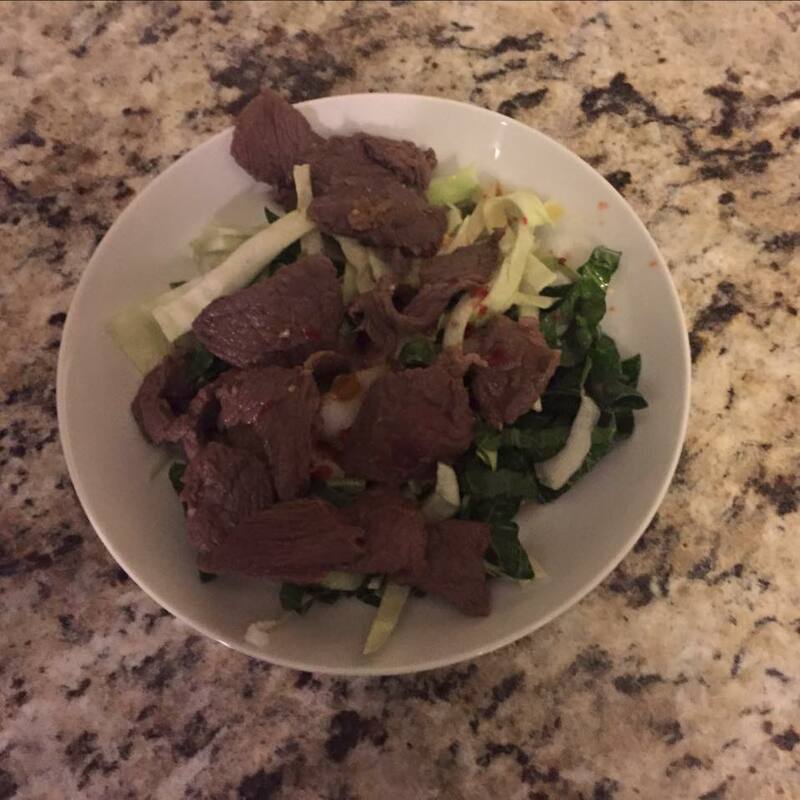 Combine 1 tbsp fish sauce, soy sauce, lime zest, 1 tsp honey, and half of garlic in bowl; add beef and toss to coat. To make dressing, whisk together lime juice and remaining 1 tbsp fish sauce, 1 tsp honey, and remaining garlic in bowl; stir in chili-garlic paste. Combine bok choy, cabbage, shallots, and cilantro in large serving bowl. Spray large deep nonstick skillet or work with nonstick spray and set over medium heat. Add steak in two batches and stir-fry until lightly browned. Add steak and reserved dressing to bok choy mixture; toss to coat. Serves 4.